Kefir is a drink made from milk which has been fermented by kefir grains. Kefir grains are a Symbiotic Culture of Bacteria and Yeasts (or SCOBY) and are used as a ‘starter’ to kick off the fermentation process, in a similar way to kombucha. 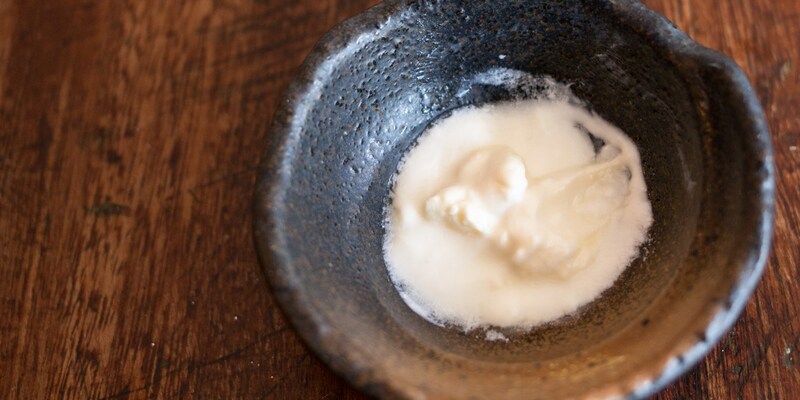 Even though it is often described as being similar to yoghurt, it actually has more in common with kombucha – it even has that slight fizz to it and is very slightly alcoholic. The drink originated around 2,000 years ago, and is thought to have hailed from the Caucasus region (including Russia, Georgia, Armenia and Azerbaijan). It is said to have been invented, or rather discovered, by shepherds roaming the Caucasus Mountains, who would carry milk around in their goat skin pouches in the sun all day. After a while, the milk had fermented slightly. Spoilt milk may not sound like the most appetising prospect, but in this case they were definitely on to something! Kefir is held in high esteem in its native countries due to its many health benefits. As with other probiotics you may have heard of – like yoghurt or kombucha – kefir is packed with good bacteria, which helps fight off the bad bacteria in your gut and is good for digestion. It is said that due to the fermenting process, the lactose is mostly eaten away, making this drink manageable for some lactose-intolerant people. However if it isn’t, or if you fancy trying a vegan version, you can use coconut milk instead, though do keep an eye on your grains as they will not stay active as long. If you want to refresh them, put them back in some full fat milk and they should grow back to full health. The kefir ‘grains’ are not actually grains, but clusters of yeasts and bacteria, which grow in clumps. They resemble pieces of overcooked rice or little bits of cauliflower. You can buy the starter grains in health food stores or online. Aside from just drinking plain kefir, popular flavourings include vanilla, strawberry or other fruits that work well with creamy dairy flavours. Use instead of milk or yoghurt for healthier smoothies, milkshakes or lassis. Kefir is more versatile than you might think – you can substitute it for buttermilk in any recipe, for example, or use it to create a delicious tangy panna cotta or ice-cream. Tenderise chicken with it in this Southern fried chicken recipe, or try baking with it – these Courgette, cheddar and basil quick breads are delicious!